Terry graduated from Frostburg State University with a degree in recreation. He was a business owner of a moving company, but has always had a passion for sports and for disadvantaged children. He has a worked with inner city girls coaching basketball, and has coached many different sports over the years. He took short term trips with SCORE for several years, leading a trip with over 100 kids to the Dominican where they ministered through various sports and sharing the gospel. He has a heart for helping the less fortunate and serving others. JoAnn graduated from the University of South Florida with a degree in education. She is a teacher and has worked with children of all ages as she taught for the past 16 years. She has also worked in children’s homes with abused and neglected children. Terry and JoAnn Enget met in singles ministry at church and were married in 1997. Terry came to know the Lord at age 14, and JoAnn accepted Christ as her Savior at the age of 6. Early in their marriage, they felt God calling them to full-time missions, but God closed the door at that time. She and Terry have taught Sunday School for both children and youth and have been actively involved in their church’s ministries. In 2014 God called them to serve as full-time missionaries with SCORE, International. Terry and JoAnn share the love of Christ with at-risk kids in Costa Rica, working with children’s homes and using the tool of sports ministry. 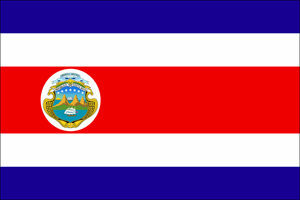 They also use ESL (English as a Second Language) classes as a way to teach Costa Ricans about the Bible and disciple them, and they lead teams that come to Costa Rica for short term trips. 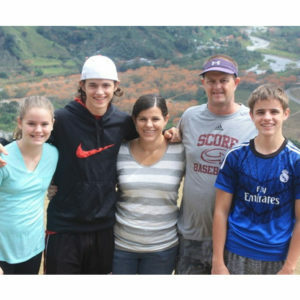 Terry and JoAnn have been blessed with 4 children, 2 of which are still serving with them in Costa Rica.